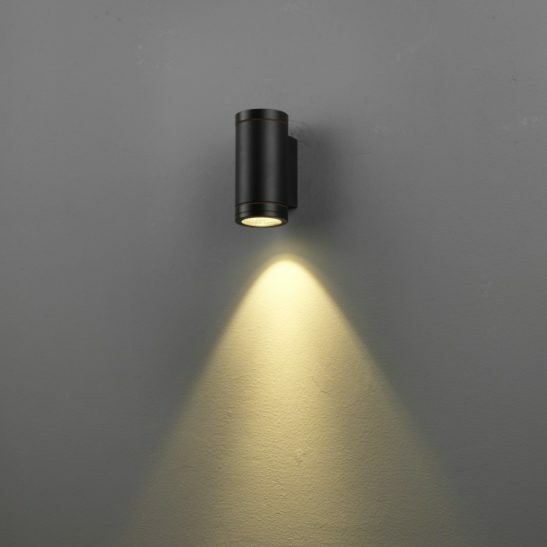 If you are looking for a sturdy garden wall downlight or modern porch lighting then the LWA217 12 watt LED black outdoor wall downlight may be the perfect choice. 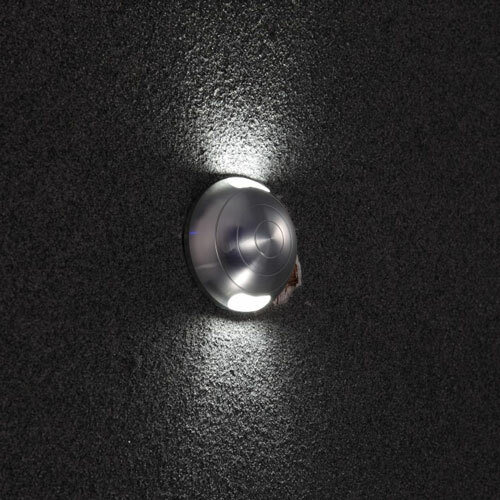 This garden wall downlight features a 12 watt CREE LED with an output of 1200 lumens. 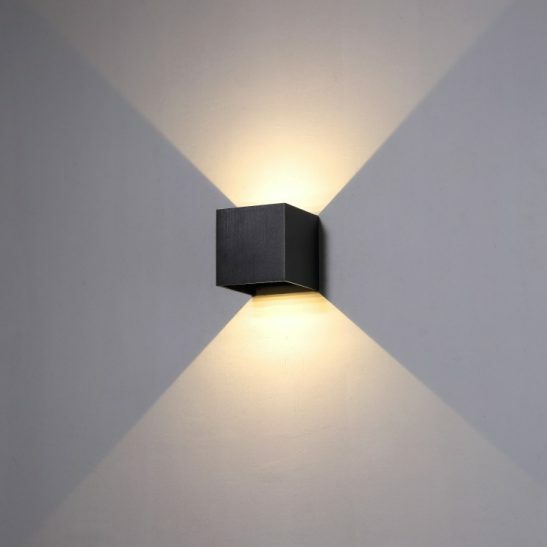 The beam of light from this wall lamp is projected downward at a 38 degree angle. 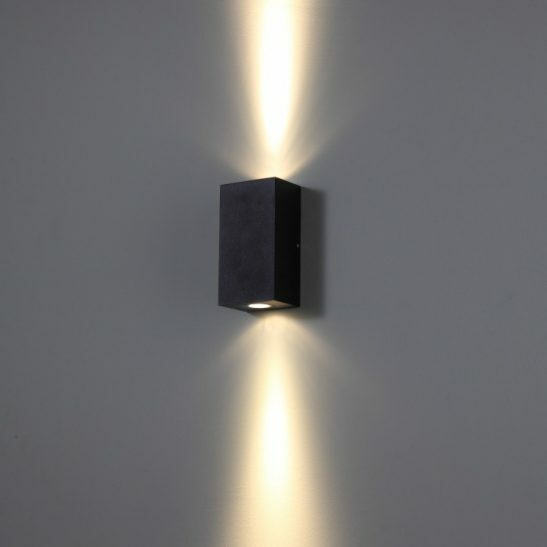 This outdoor wall light is made from high quality aluminium and has a black anodized finish for added durability. 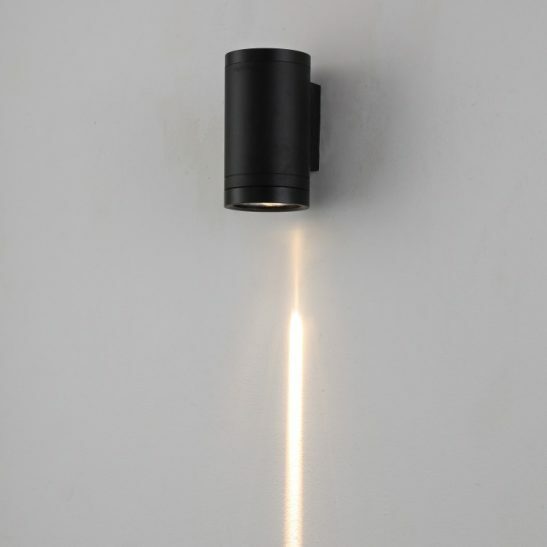 This light measures 160mm high and 122 mm wide. 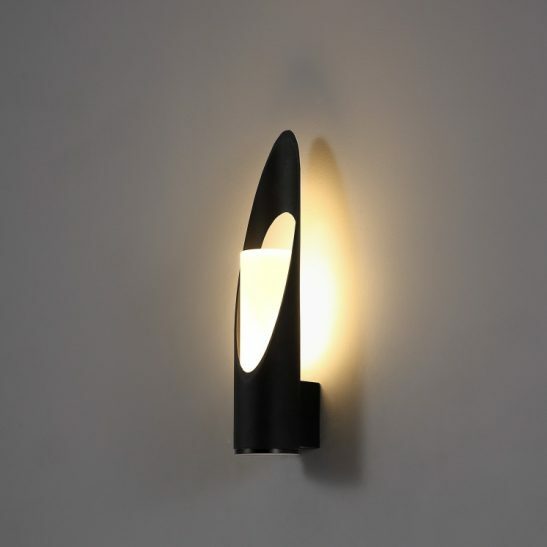 The light itself has a very minimal design making it perfect for homes with modern outdoor décor. 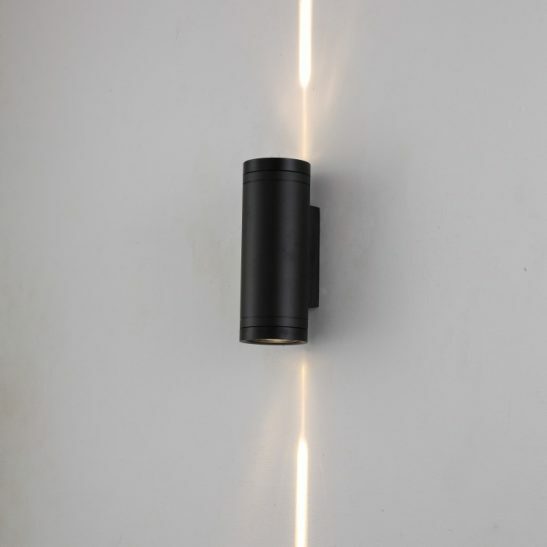 The LED driver is neatly fitted into the body case of this light. 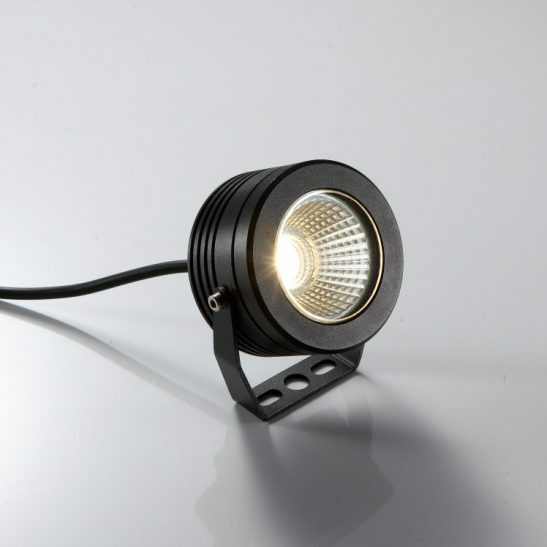 Rated IP65 this outdoor wall downlight can stand up to every type of weather condition. 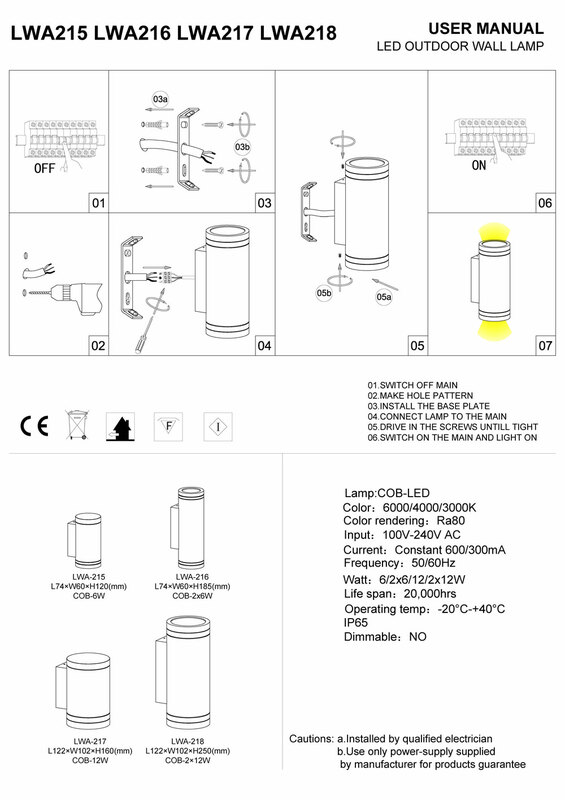 The LWA217 gets connected directly into your 110-240 volt supply main and installation of the light or the electrical portion needs to be completed by a licensed electrician. 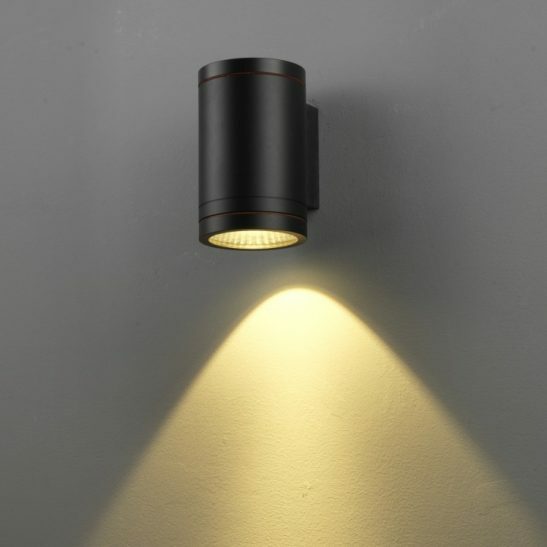 Using the latest in LED technology this light is designed to provide you with 20,000 hours of light or more. It is also extremely energy efficient. Very little of the energy that is used to operate this light is wasted making it cheaper to operate than more traditional lighting. In addition, for those of you are concerned about the environment you will be happy to know that this light is completely recyclable and there are no light bulbs to have to dispose of. The LWA217 also comes with a 3 year guarantee.